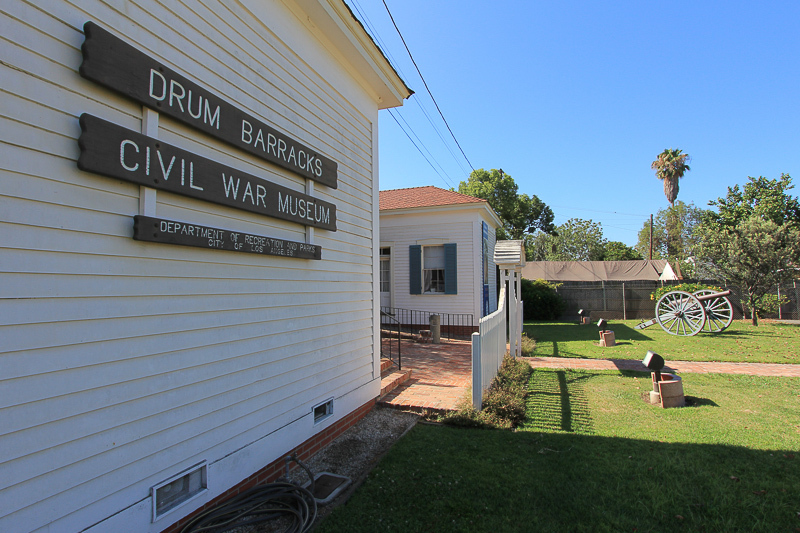 July 23, 2014 - Today's adventure brought us to Wilmington, CA to visit the Drum Barracks Civil War Museum. 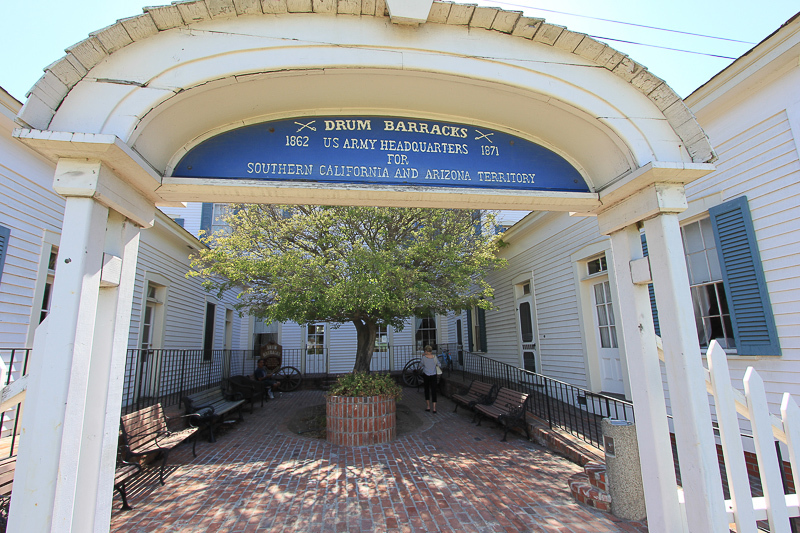 The Drum Barracks, also known as Camp Drum, is the last remaining original American Civil War era military facility in Southern California. 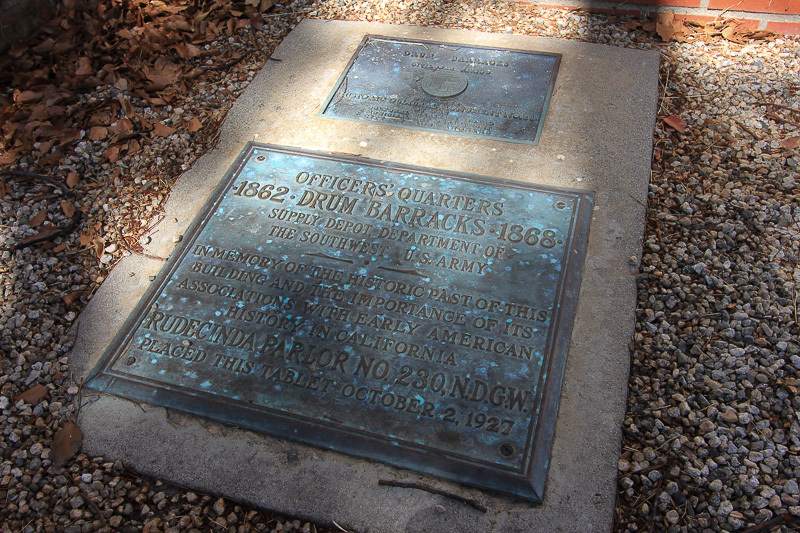 The Drum Barracks served as the main training, staging and supply depot for military operations in Arizona, Southern California and New Mexico. The museum features many items from this era, including an operable Gatling Gun. 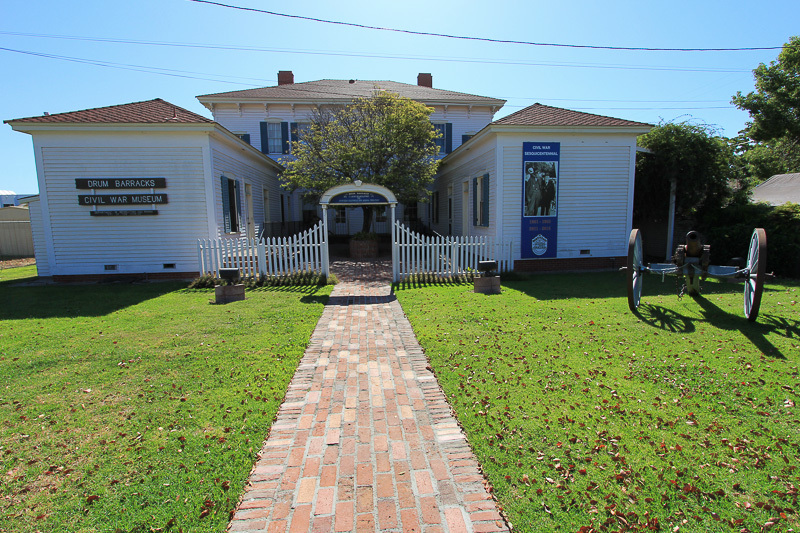 The museum, located in the original junior officers' quarters, displays historical artifacts and is operated by the city of Los Angeles. Jefferson Davis, then Secretary of War for the United States, received funds from Congress in 1855 to import camels to the American Southwest. This experiment resulted in the short-lived United States Camel Corps. 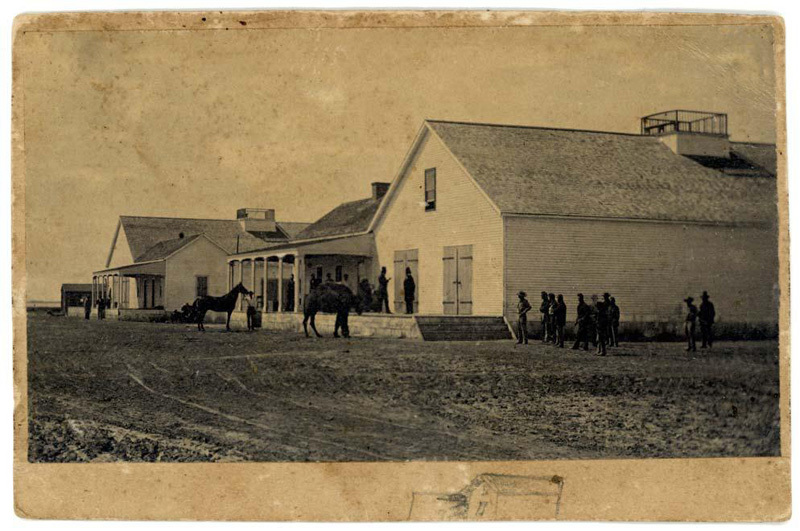 Twenty-five of the 75 imported camels ended up at Camp Drum in 1861. 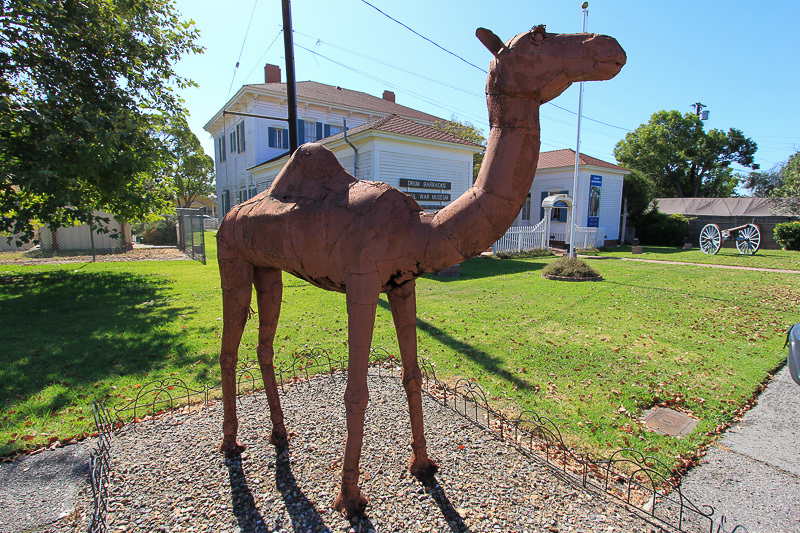 The camels were used for boundary surveys, for a dispatch service between Los Angeles and Fort Yuma and to carry freight 20 miles from the Wilmington harbor to Los Angeles. This metal statue of a camel, named Ayesha after one of the original imported camels, greets visitors to the museum. This is the only known image documenting the presence of camels in the U. S. Military. It is attributed to French photographer Rudolph D’Heureuse and was taken at Camp Drum in 1863. 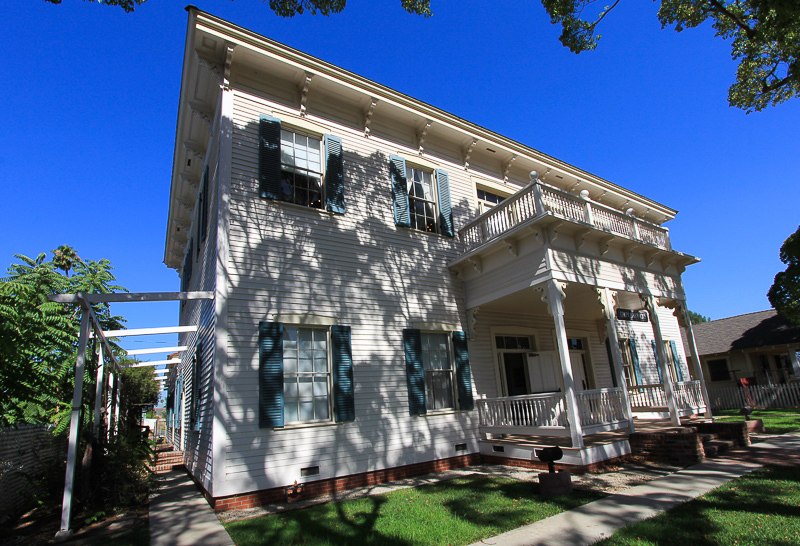 The 16-room structure once stood among 19 similar buildings on 60 acres of land that General Phineas Banning and B. D. Wilson donated to the U.S. Army. 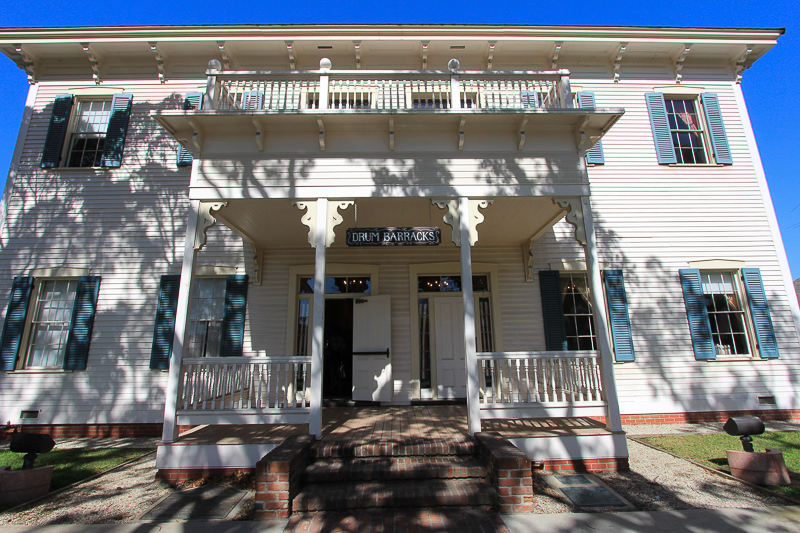 The surviving Officers' Quarters building holds a local reputation as a site of various paranormal activity, but we didn't see or hear any ghosts today. 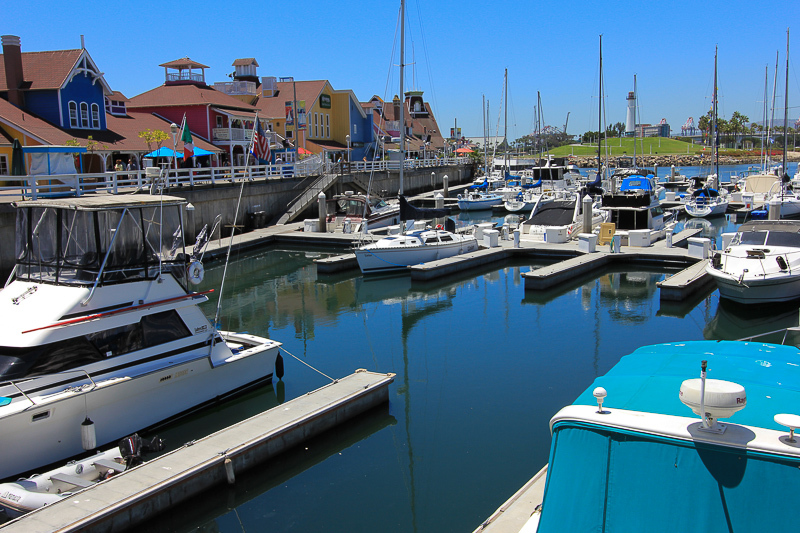 After the tour we drove over to Long Beach for lunch at the Yard House. This was our view from the deck. Judy had their "Pepper Crusted Gorgonzola Burger" with Marsala sautéed crimini mushrooms, caramelized onions and baby spinach and I had their "Vodka Shrimp Pasta" with chopped shrimp and angel hair in a light vodka tomato cream sauce, dusted with parmesan. 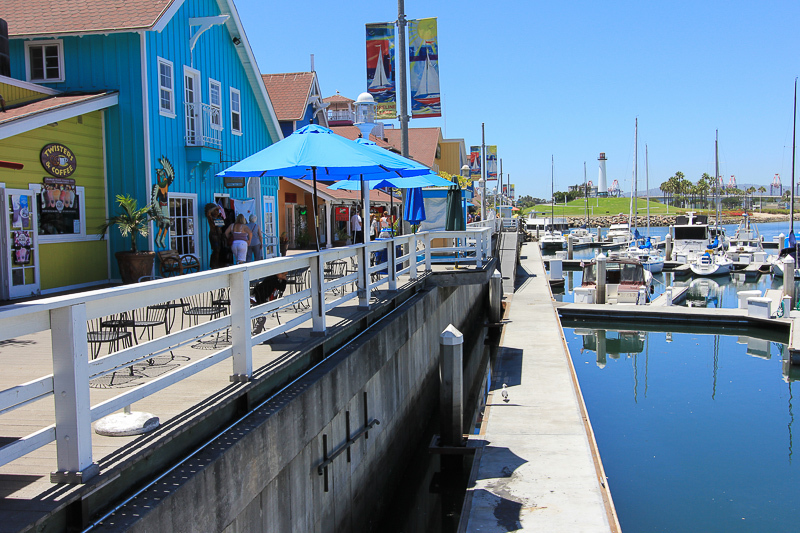 It was one of those "Chamber of Commerce" days.